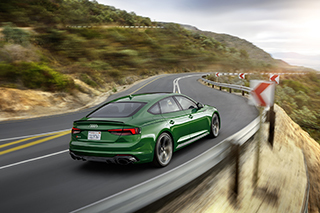 Joining the performance family, Audi Sport launches its latest RS model - the Audi RS 5 Sportback. 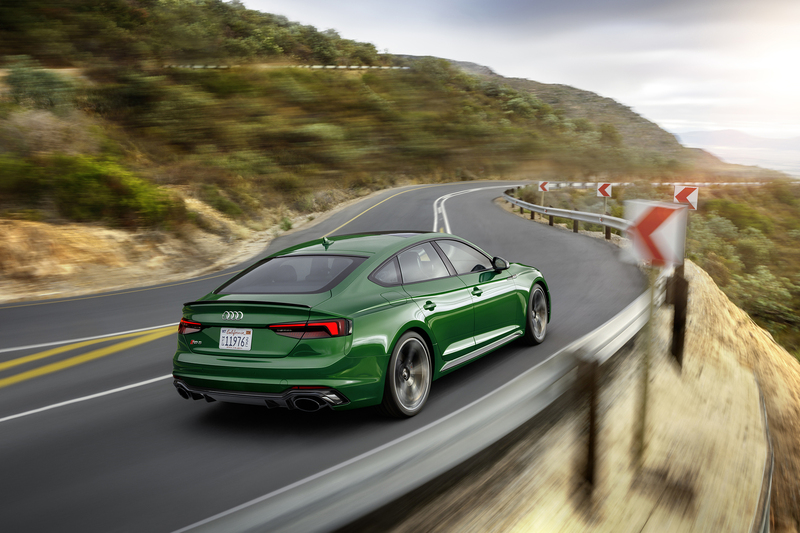 Making its world debut at the 2018 New York International Auto Show, the RS 5 Sportback offers a balance of high design and driving dynamics. 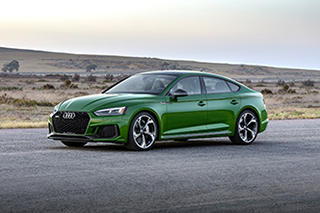 The 2019 RS 5 Sportback represents the latest model in the highly successful Audi Sport family, with breakthrough 5-door coupe design and exceptional performance. 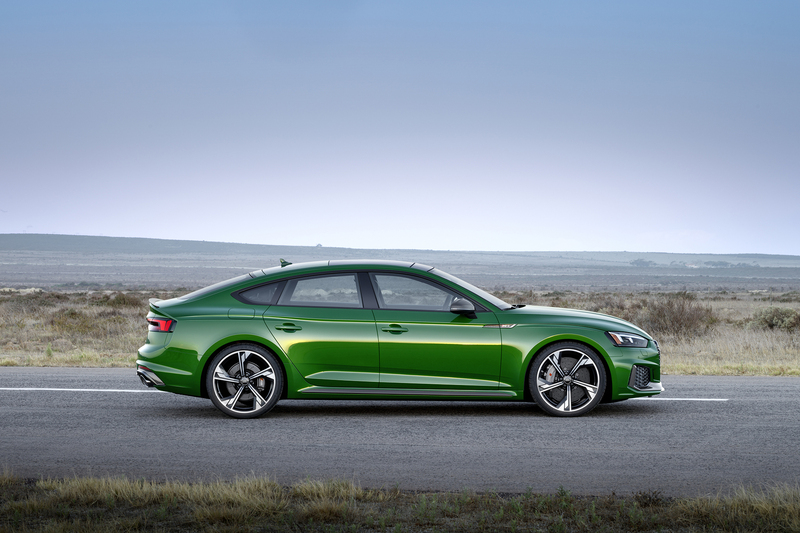 "The Audi RS 5 Sportback is a completely new offer for our customers. 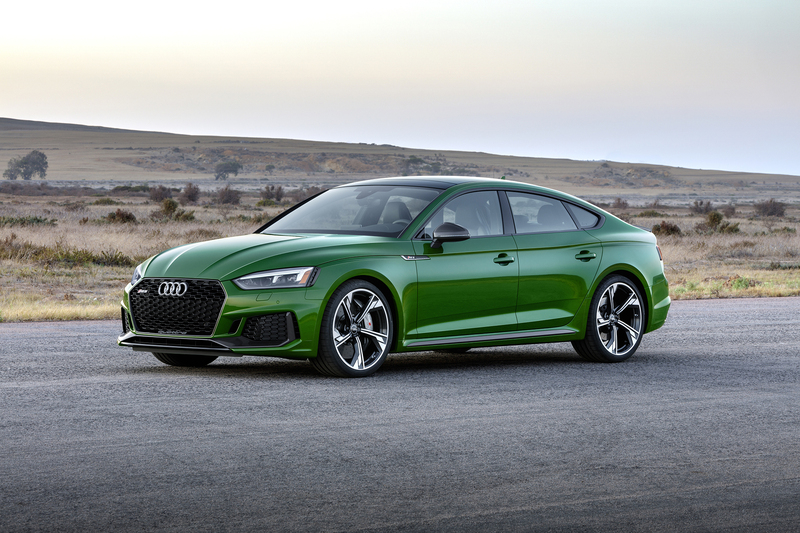 Our progressive interpretation of a five-door high-performance coupe has neither a predecessor model nor a direct competitor," says Michael-Julius Renz, managing director of Audi Sport GmbH, about the latest member of the RS family. 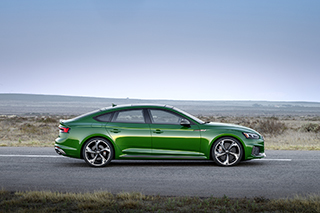 “The Sportback offers the ultimate in functionality with maximum performance." 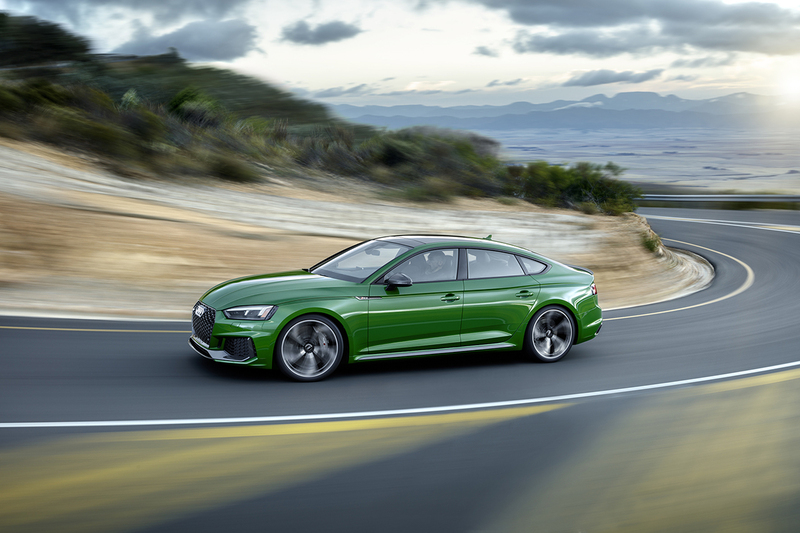 The 2.9 liter TFSI V6 biturbo engine delivers power, efficiency and distinct RS sound. The new biturbo engine generates 444 hp and 443 lb-ft of torque available in a wide rev range from 1,900 to 5,000 rpm. 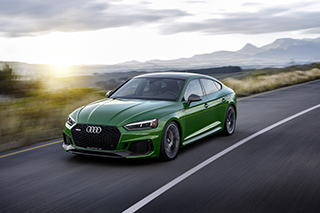 The Audi RS 5 Sportback sprints from 0 to 60 mph in under four seconds and achieves a top track speed of 155 mph, or increased to 174 mph with the optional Dynamic plus package. The two turbochargers on the 2.9-liter engine of RS 5 are positioned directly inside the “V” promoting engine responsiveness and performance. For high engine efficiency, power and torque, the V6 engine uses a centrally mounted fuel injector and a combustion method with shorter compression and longer expansion phases. This B-cycle combustion process with central direct injectors further supports efficiency of the powertrain.